It’s Monday, the worst day of the week. You’ve just had breakfast and you’re about to go to work. As soon as you step in your car. You expect to see the message of your debit order going off. It’s not… It’s an SMS from me saying you’ve banked your profit. And you’re now R1,450 richer to start your Monday. What was the worst day has just changed to possibly the highlight of your week. Best yet… Banking this profit is not what you expect. This has nothing to do with Binary Options. This has nothing to do with dividends, forex, futures. And even Crypto-currencies. No… It’s personally the easiest way I’ve found to bank a consistent income. Imagine what you could do with that kind of extra income. You can use this to ‘steal’ steady streams of income – almost whenever you want. Thank goodness, those days are over! Gone are the days when you need to hold onto your investments to earn a meagre income. And gone are the days when you need someone else to manage your pay cheques coming in. I’ve done it myself. In fact, in the last year I was able to put an easy R824,000 in my pocket. And not through a demo account but with a live account with REAL money. It doesn’t take long, in fact two minutes a week is all you need to achieve the same. Now I know many top executive hedge fund managers and brokers, don’t even earn that amount in a year. As long as you have a mobile phone and an internet connection – You can do just that. And imagine what you can do with this kind of income. Go on vacations, buy the latest Range Rover or just go to restaurants and not have to worry about the prices ever again. Safer than Forex trading, Binary Options and traditional stock investing.. Safe, Profitable… AND Predictable – What more do you want? You’ll love the predictability. You’ll love how safe it is. And you’ll love the instant cash results. When you try it, I’m sure you’ll agree. In all my 15 years of helping people make money, this is the easiest and most affordable way I’ve found to make huge profits from small moves in the markets. This opportunity wasn’t possible to exploit this profitable strategy and bank these kinds of gains, a few years ago. However, with the fast-track of technology advancement and availability of new markets to profit. This easy profit opportunity hardly takes any of your time! You have a busy life and schedule. Family you have to feed, friends you have to meet and work you have to do. And so, I just want to help you make money with a little of your time. In fact, I plan to send you these profit plays at least once a week going forward. One touch and easy profits can be yours. Once a week, I’ll send a few simple instructions to you. It might take a day, a week or even a month. It doesn’t matter. You can carry on with your everyday life. And when it’s time to bank your profit. I simply send you a quick message confirming what you banked. And this won’t just happen once or twice. I plan on sharing these profitable moves, every single week… 52 weeks a year. And anybody who can open a simple SMS or email can follow along – AND PROFIT. Imagine, pressing a few buttons and then watching your money jump to R1,450. Or when an advert plays while you’re watching your favourite TV show, you whip out your phone and enjoy a triple digit profit. And following these quick instructions are without taking any CRAZY risks. Forget about Binary Options, Forex and risky futures. It sounds like a pipe dream, but it’s not. I’ve been able to own a home and a holiday home abroad and I’ve declared every cent I’ve made. And now, I can finally live my passion and dream. To help you make money on your own terms and live the life you’ve always wanted. Just in the first week, you could have paid off your subscription to this service, which I’ll show you in just a second. When you sign up for my service, I’ll send out a brand-new instant income move EVERY WEEK. ~ You don’t have to have any knowledge. ~ You don’t have to be a seasoned market trader. ~ You don’t have to even have a degree to see how this works. That’s the beauty of this. You see, unlike most systems out there that overpromise and under-deliver, you can keep tapping these pay outs over and over again, whenever you want. Just imagine pocketing quick, easy gains whenever you feel like it… it’s like having your own personal ATM with an unlimited supply of money. Weeks, months, even years from now, you could still be pocketing R750, R430 and R1,450 EVERY time you use these techniques. This is probably the easiest and fastest paying income strategy, I’ve ever come across. And, best of all, the people we’re taking our pay-outs from WANT you to take them. ...is all money being handed over to you by other ordinary people who can’t wait to hand it over quick enough. How would you like to be handed right now R750, R430 or even R1,450. Now imagine collecting thousands in extra income each month. Or even tens of thousands… or hundreds of thousands of rands every year. If I can do it, you most certainly can too. Right now I can’t reveal my identity. This is because if people knew my trade suggestions and research tips I’m about to send out to you, I could lose everything. Don’t worry this is 100% legal and you have nothing to worry about. Over the course of you learning to become a pickpocket trader, you’ll eventually get to know who I am and you’ll understand more about why it’s not possible to reveal my name here. But seriously, the fact that I am the one sharing this with you could get me into trouble... So please do keep it to yourself. And don’t worry. I’m not the kind of trader that will reveal some holy-grail strategy with a 90% to 100% win rate. I am a trader of under 20 years in this industry and NOT a marketer. So know, you’re not going to be promised anything I don’t believe you can’t achieve. Of course, no trading strategy is completely risk-free. And no true and legitimate trader service comes with a 90% to 100% win rate. It’s impossible to predict with accuracy how the markets will behave when you know for a fact - ANYTHING CAN HAPPEN. And so, I will always tell you that you should only invest with money you can spare, NOT your essential savings. But as far as this “forever income” secret goes, you’ll see how much the odds are in your favour. 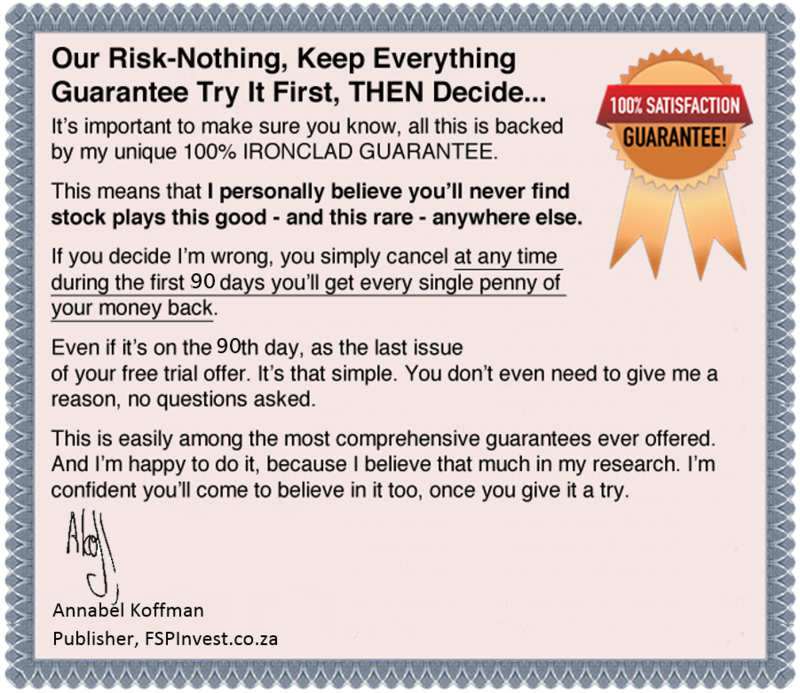 For the first time in history – FSP Investment Research and I have teamed up together to create the most stand-alone exclusive membership called. In any case, I will tell you exactly what to do and what to say to your broker to open or close a trade, including where to place your stop loss order. Starting today, you can get all these quick profit opportunities through my highly specialised trader service. I’ll do all the fundamental and technical analysis… I’ll study the market trends… Look at news reports… Analyse business financials… And find out everything to determine the true value of a share in relation to the market. I’ll spend every single day looking at the stock market for the next quick gain. If you’re like me… You don’t want to wait any longer for extra income. 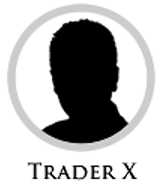 And so, here’s what I’m going to do when you join Pickpocket Trader. First, I’ll send you a special starter kit. I call it the Pickpocket Trader User Guide. It won’t take you long, less than half an hour. But it really is essential that you take the time to read through the guide as it will show you everything you need to profit from the service and how to follow my trading signals. It couldn’t be simpler. By joining my service you’ve avoided the hassle of reading through lengthy trading manuals, installing complicated software or analysing countless charts and figures. You’ll simply receive regular alerts from me, via email and SMS message, with details of profit opportunities I’ve spotted. The simple message will take no more than a few minutes to action. And that’s it. You don’t need to worry about anything. Just follow a few simple instructions and you are done. I’ll do all the ‘behind the scenes’ hard work for you. There is one thing you need to be aware of. This is a new exclusive trader service. And so, quality matters to me. This is why I’m only going to enroll the first 300 people who sign up to my service. This way, I can make absolutely sure everybody get’s uninterrupted access to their start-up reports, and user guide… and I can address anyone’s profit or trading related questions directly. Having 300 people with the service means I can focus on the most important thing. Finding your income trades week in and week out. All you need to do to be one of the first 300 people to accept today’s invitation, is click on the JOIN NOW button below. When you do, you’ll go straight to a 100% secure sign-up page that gives you another chance to review all the details in my invitation. Let me be clear again. When you click on the “JOIN NOW” button below… It’s not going to commit you to anything automatically. You’ve still got time to review all of the details. ORDER NOW! You’ll be able to review and confirm your order on the next page. I want you to see — first-hand — how your membership to Pickpocket Trader can show you how to bank these “forever-income” profit plays. You could jump right into the action tomorrow. Just to be clear — you’ll usually get a trading idea between Monday and Friday, for the next 90 days completely risk-free, as well as Pickpocket Trader’s insight into the markets. Now, I know what you must be thinking… this kind of service must cost an arm and a leg. Considering I’m doing this more for the love and passion to help people make an honest second income, I don’t want your money. In fact, I’m so convinced I can show you how to bank these “forever-income” profit plays – I’m going to give you completely risk-free access to Pickpocket Trader for the next 90 days. All you need to do is pop in your details below, and we’ll automatically enroll you on the membership programme for R925 per quarter. You can get your money back at ANY TIME during those first 90 days. That means, if you use my ideas and paper trade for the first three months, you can try this ENTIRELY RISK-FREE. You get the first 90 days to look and see if this is for you. If you cancel before the 90th day, you’ll get a full refund. Thereafter you’ll be able to cancel anytime you like. Again, hit "Join Now" button below, there’s no obligation to stay on for any longer than you want to. To work for you essentially for free. To earn your trust over the next twelve weeks. And to help you make money. A watertight guarantee for your complete peace of mind and protection. As I say, if you don't like what you see once you try this – no problem. Sign up to Pickpocket Trader today, and we’ll send you a whole three months of trading profit ideas– with no obligation for you to continue. If you don’t like what you see, or don’t think you can spare a few minutes during your lunch hour or aren’t 100% convinced for any reason, simply let us know during your free three months and we’ll give you a full, 100% refund. No questions. No hassle. If you decide to continue (and I’m pretty sure you will), you can claim a quarterly membership to Pickpocket Trader for just R925. You really can’t lose. This is a watertight guarantee that you can use at any time during your trial three months. This could be your ONE and ONLY chance to lock in ‘forever-income Forever’ pay-cheques starting TODAY. Don’t let this one opportunity chance slip by. PS: Stay close to your cell phone! My next SMS alert could hit your cell phone as early as tomorrow morning. Don’t miss it… Your opportunity to bank a “forever-income” starts now! PPS:Remember: You have nothing to lose. If you don’t see fast, repeatable gains in the first three months, you can simply cancel and I’ll refund you every cent of your membership fees within 90 days! Let’s recap everything… I need to make sure you know exactly what you’ll receive when you join this VIP brand-new trader service. ~ FREE SMS Service - This free SMS will alert you of new trades and changes to our positions right away! So you don’t miss a thing. 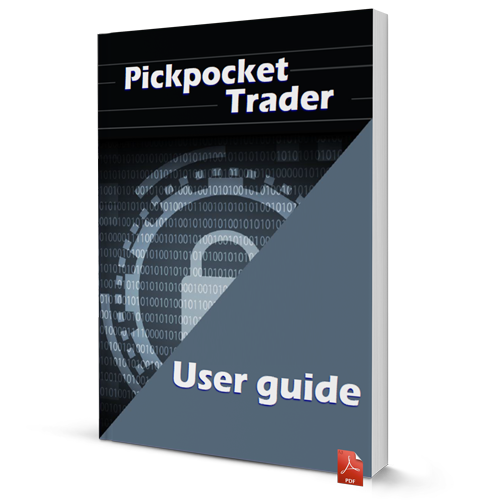 ~ Pickpocket Trader’s Broker Letter—This is the final piece of your Pickpocket Trader library. Inside, you’ll find a quick rundown of online brokers. This free booklet helps you compare their fee structures and levels of service. For a tiny processing fee of R925 now (Or R3,700 for the year), you get full access to everything I have listen above. And you'll have 90-days to try it yourself or claim the full subscription fee back. Copyright © 2018, Fleet Street Publications (Pty) Ltd. The information contained herein is obtained from sources believed to be reliable, but its accuracy cannot be guaranteed. No action or inaction should be taken based solely on the contents of this publication. We do research all our recommendations and articles thoroughly, but we disclaim all liability for any inaccuracies or omissions found in this publication. No part of this publication may be reproduced or transmitted in any form or by means of electronic or mechanical, including recording , photocopying, or via a computerised or electric storage or retrieval system without permission granted in writing from the publishers.